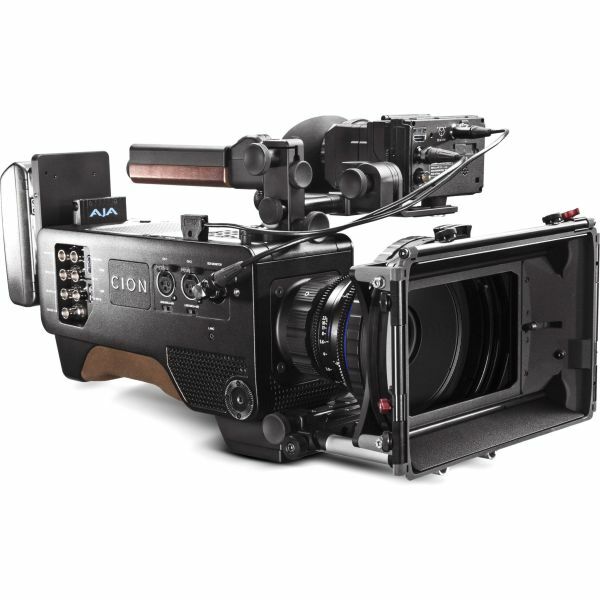 4K APS-C Sensor CION features a 4K APS-C sized CMOS sensor with an electronic global shutter and 12 stops of dynamic range. Super 35mm lenses cover the imaging area of the sensor, while the global shutter eliminates the negative effects associated with rolling shutter-based sensors. 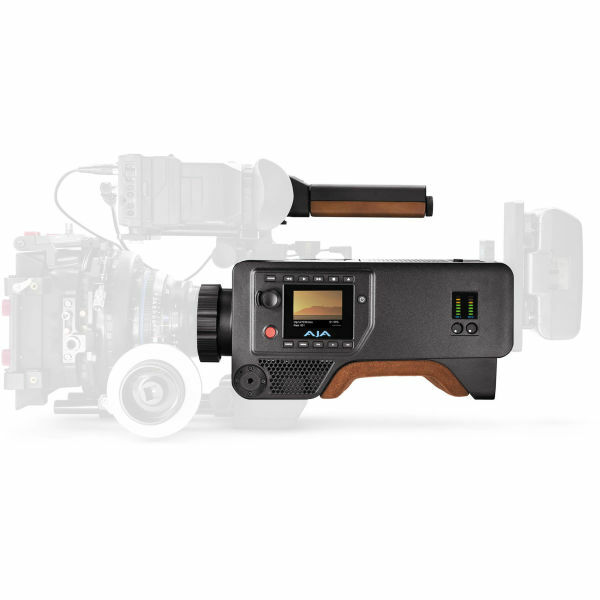 Recording Formats CION can record at DCI 4K (4096x2160), UltraHD (3840x2160), 2K (2048x1080), and Full HD (1920x1080). 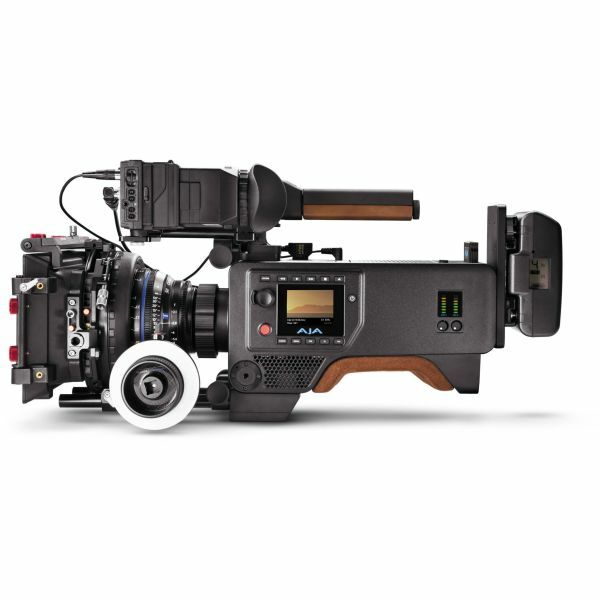 2K and HD resolutions are hardware scaled from the full 4K sensor, resulting in over-sampled images, which retain your lens' angle of view at any desired resolution. 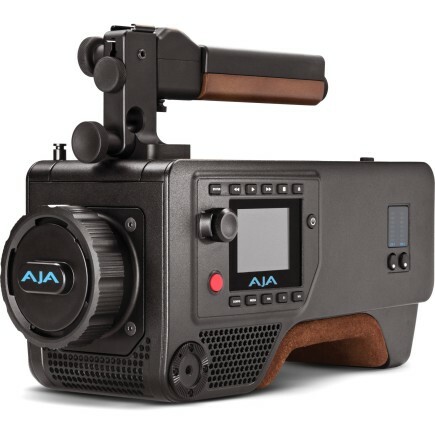 Frame rates up to 50 and 60 fps can be recorded to AJA Pak media, while outputting AJA Raw in frame rates up to 120 fps via 4x 3G-SDI outputs. AJA Pak Media The camera records to AJA's SSD-based Pak storage. The robust high-speed compact storage slots directly into the camera and allows recording of both DCI 4K and UHD 4K in addition to 2K and HD as ProRes 4444, ProRes 422 (HQ), ProRes 422, ProRes 422 (LT), and ProRes (Proxy). 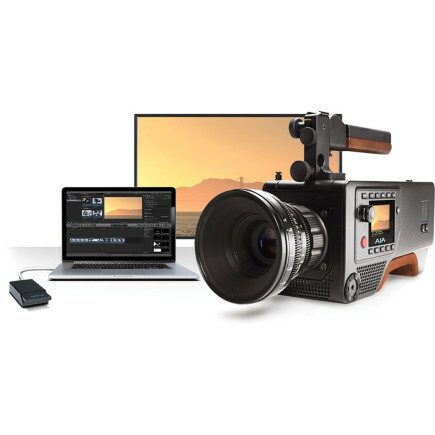 Pak media is available in 256GB or 512GB capacities and by utilizing the optional AJA Pak Dock, you can transfer your footage over high-speed Thunderbolt or USB 3.0. 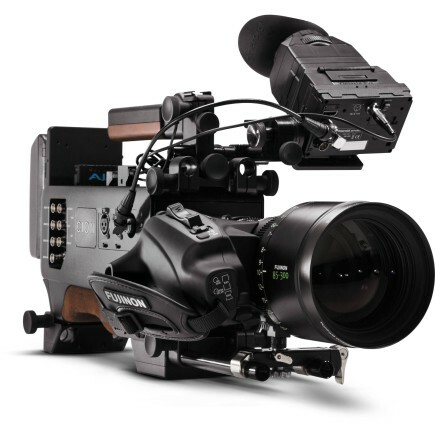 AJA Pak media features a multi-insertion rated connector. Connecting to CION via the LAN connector provides real time information regarding the Pak currently in use and by utilizing a Thunderbolt enabled RAID storage drive you can quickly back up your Pak media as you shoot. AJA Raw Workflows CION can output frame rates up to 120 fps as either DCI 4K or UHD 4K from its 4 x 3G-SDI outputs as AJA Raw. 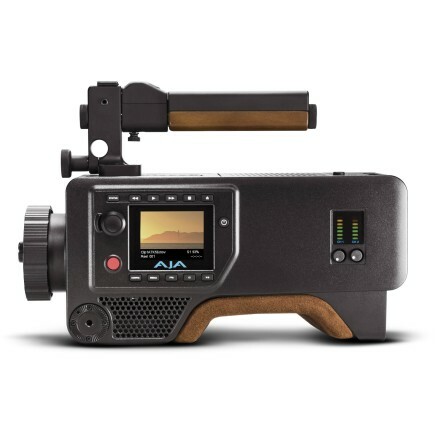 You can also output AJA Raw up to 30 fps via the camera's Thunderbolt connector. With the use of AJA's Corvid Ultra in conjunction with TruZoom software (both sold separately), you can even take the AJA Raw output and replay it at up to 60 fps, for live broadcast applications. PL Lens Mount The camera uses PL mount lenses that are the industry standard for professional cinema cameras. Additionally, the lens mount has been designed to be removable so third parties may develop mounts for other lens types. Optical Low Pass Filter and IR Cut Filter An integrated Optical Low-Pass Filter reduces unwanted moiré effects while still retaining image detail. The infra-red cut filter helps produce high quality colors within the image by blocking unwanted light wavelengths. Back Focus Adjustment The inclusion of a mechanical back focus adjustment allows for proper calibration of the distance between lens and sensor. By making finely tuned adjustments, the sharpest image quality is assured. 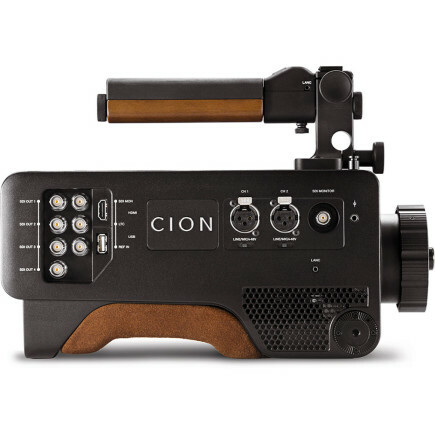 Connectivity CION is designed to let you customize the camera to suit your shooting style and needs. 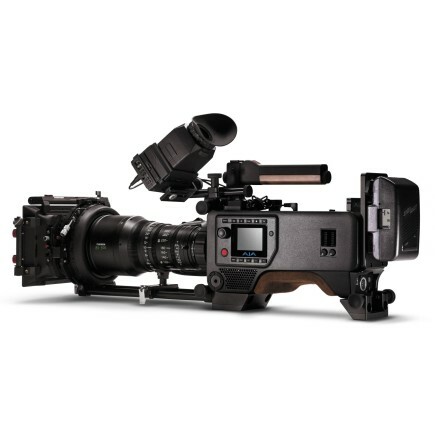 All of the audio and video connections are industry-standard and audio and video connectors have been placed where they will not interfere with camera operation. 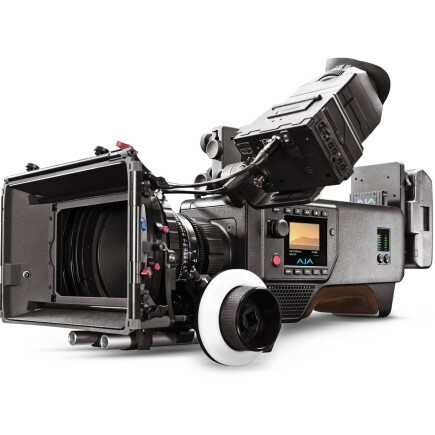 3G-SDI and HDMI monitor outputs, as well as a power output, make it easy to add a monitor or viewfinder to the camera and, utilizing internal scaling, these dedicated monitoring outputs are always active even when shooting at DCI 4K and UHD resolutions. User Interface All the interface controls are found on the side of the camera facing the operator for easy single user functionality. The menu structure is designed for ease of use, without cumbersome sub-menu navigation. Settings can be adjusted confidently using a selection knob. The integrated monitor displays the menu information as well as a preview of your real-time image. 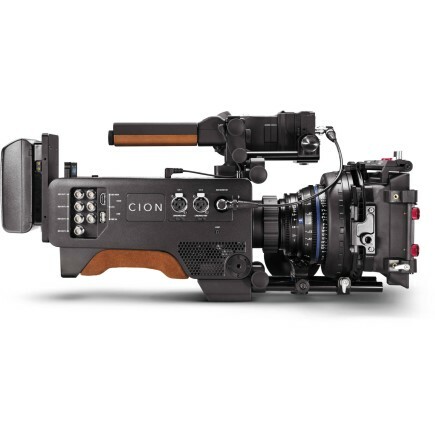 CION also offers powerful network-based control. Via the LAN connection, a web-browser UI allows for remote configuration of the camera, making it completely controllable whether it's on a crane, jib, or other mount. Multicam Gang Control CION makes multicam shoots easier to manage by using a laptop with a simple Ethernet switch and LAN cables. 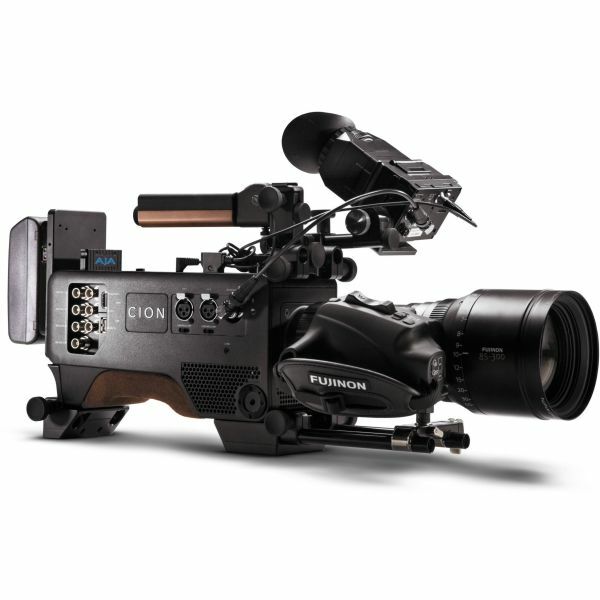 The web UI allows complete and independent set up of multiple CION cameras; you may name each camera and consolidate control of the cameras from within a web browser using the unique gang recording feature. The web UI will also allow real-time monitoring of the capacity of the Pak media used in each CION. Chassis The sleek chassis is formed of gravity molded magnesium which is lightweight but strong. Integrated steel rosettes allow you to mount industry standard accessories including hand grips and handle extensions directly to the camera body. Mounting Aluminum cheese plates are fitted to both the top and bottom of the chassis to provide easy mounting of accessories from both AJA and third parties, with standard thread sizes to offer a wide range of compatibility. 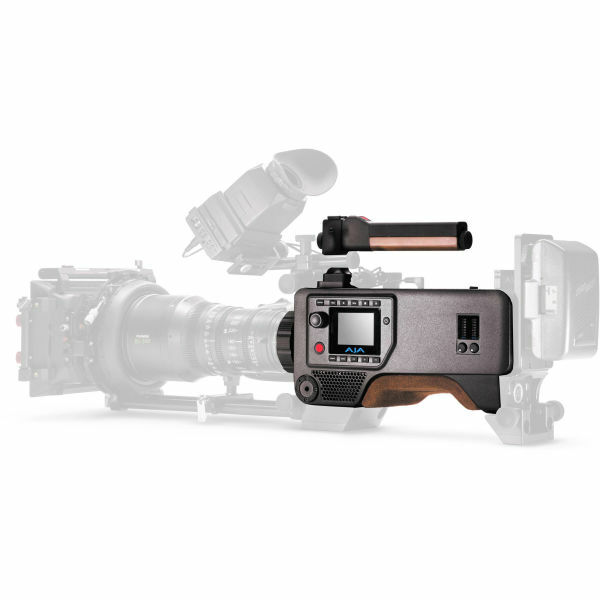 Ergonomics CION is designed to be comfortable, convenient, and flexible for a variety of shooting environments. A contoured shoulder pad fits comfortably to your shoulder for hand held use. An included top handle made of high grade aluminum and wood features an integrated LANC start/stop button. The handle base itself uses a LWS 15mm rod and through hole to allow you to mount additional third part accessories.